You have wedding plans and are looking for an unforgettable setting for your wedding ceremony? How about a whole wedding weekend in a unique setting? Outdoor wedding, dinner, party and the following night in our romantic rooms make your wedding the most beautiful two days of your life. 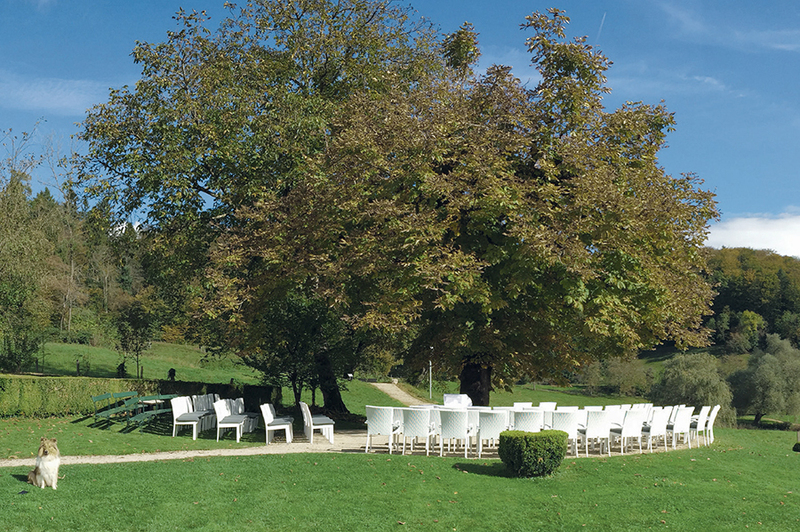 You will be married by the ceremony leader under the magnificent chestnut tree outdoors if the weather is dry. In uncertain weather, the ceremony takes place in the tent. Important: A wedding in our park is only possible if the whole celebration takes place with us and the whole wedding weekend is booked. 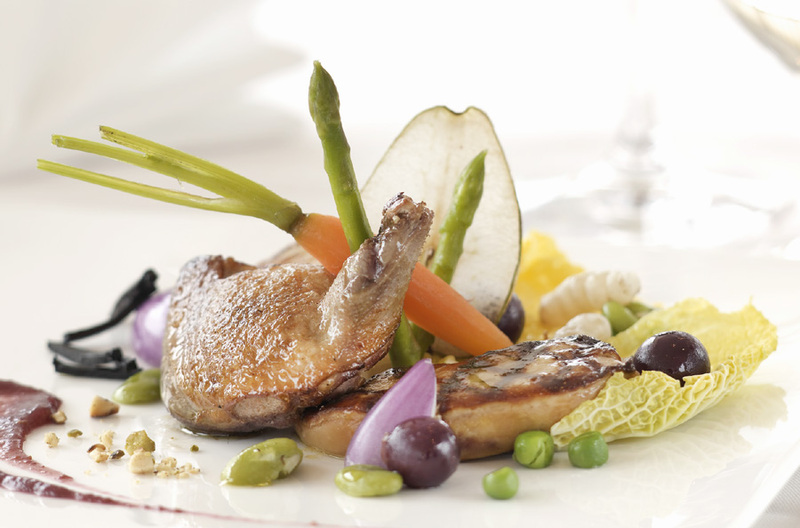 In the classy Schauenburgersaal or the Ermitage hall, your taste buds will then be spoilt in style. Enjoy the culinary delights of our excellent kitchen crew and let us serve a special bottle from the well-assorted cellar. After the official part, you can now celebrate. In the coach house we welcome you and your guests with a homemade wedding cake and tempting treats from the hands of our pâtissiere Mady Wattiau. Our trusted DJ professionally provides for the musical part professionally and the service team staffs the bar. 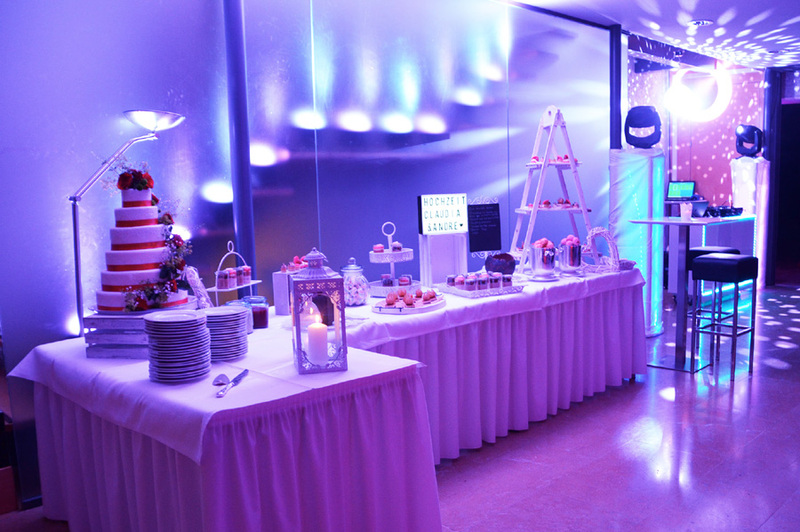 During your party, you have direct access to the lounge and baroque garden. 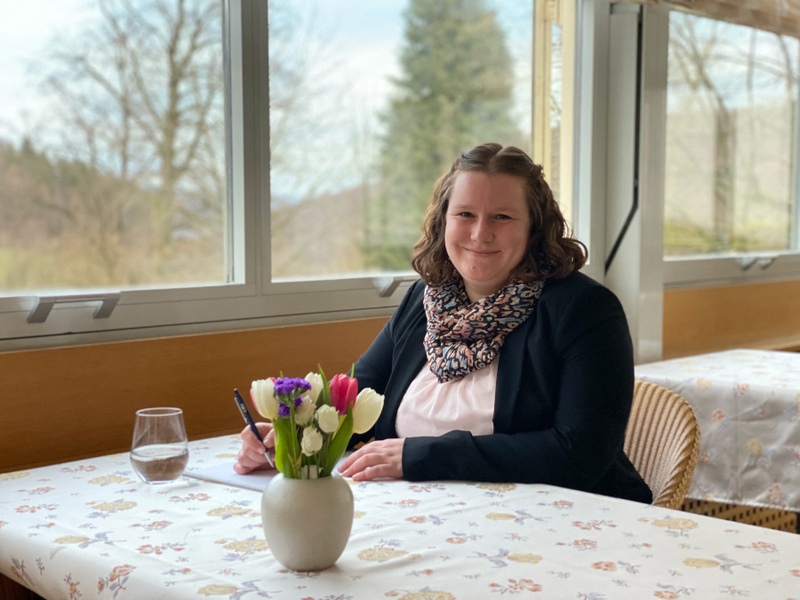 Hotel manager Stéphanie Häring plans your wedding with you so that it will certainly be the most beautiful day of your life. We have our own experienced partners like DJs, flower suppliers, fireworks specialists, decorators, entertainment providers and much more.